Helen’s first taste of Africa was at the age of thirteen when a work project brought her father and family from Europe for a five-year contract. After completing her high school education in the Northern Cape, Helen returned to Europe and worked in various sectors of the tourism industry, though the majority of the time was in aviation. With easy access to international travel, it was an opportunity to see how other countries were developing their tourism industries, and with this came a powerful realisation that tourism could be a force for change and make a positive difference to a destination, or it could have a negative impact on host communities and biodiversity if managed irresponsibly. 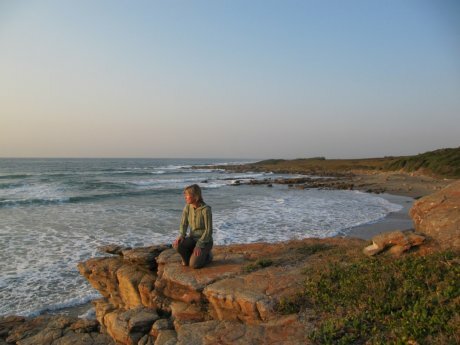 When Helen returned permanently to Cape Town in 2001, this philosophy was the inspiration for starting up her consultancy company ‘Serendipity Africa’, which focuses on raising awareness of sustainable tourism development. Services offered range from responsible tourism training and mentoring, marketing guidance and support, assistance with sustainable tourism development plans in specific geographical regions to encourage businesses to incorporate ethical principles into day-to-day operations. She is a member of the judging panel for ‘Imvelo’ – Southern Africa’s Responsible Tourism Awards, and is a qualified national trainer for Fair Trade Tourism South Africa (FTTSA). Helen is also a freelance travel writer and gets involved with media co-ordination to make sure the ‘good news’ stories are told. Her motto is making tourism work for people and the planet. Louise de Waal is the founder and MD of Baobab Travel Ltd, a UK-based specialist Africa tour operator since 2002. Baobab Travel was born out of a combination of a love of Africa & travel, and a desire to actively work with and support local communities in the Developing World. They design tailor-made, sustainable holidays to Africa for clients in the UK, Europe and worldwide. Since 2009 Louise is also joint owner of Uluntu Africa CC, a Cape Town based, fully independent specialist Destination Management Company and provider of sustainable tourism services in South Africa. Uluntu Africa follows Baobab’s ethical principles and is fully dedicated to providing sustainable tourism services in South Africa. The name Uluntu means community in Xhosa and Uluntu Africa like to think of themselves as the agent’s connection to a community of like minded and independent tourism products & service providers, who share a common interest in the promotion of fair trade tourism. Louise continuously sources new, innovative and sustainable tourism products for both Baobab Travel and Uluntu Africa. With an extensive knowledge of the African tourism industry and a passion for responsible travel and sustainable tourism, she has established and built partnerships with local tour operators and establishments who share their sustainable tourism philosophy and passion. Louise has an academic & research background in environmental science with a PhD in environmental management and many years of teaching experience at various British universities. She has published more than 30 academic & peer reviewed publications and consultancy reports. Consultancy projects have included organisations such as the National Rivers Authority and J. Sainsbury Plc in the UK. Louise also worked as a volunteer in Tanzania on a coral reef conservation project. Although she lost her love of academia she has never lost her love for environmental issues and sustainability. All the tourism products promoted by Baobab Travel and Uluntu Africa have a strong environmental and sustainability focus.